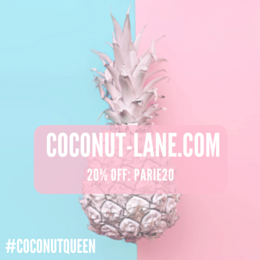 I've been blogging for three years now and each year I set my self goals to improve on what I am doing, which will in return help me grow as a person and make this blog enjoyable to read. Photography has always been on the top of that list, I don't have a fancy camera due to spending my money on makeup but i don't need one, my phone is amazing! It lets me take amazing pictures, that are great quality and I can get them straight to my laptop through the joys of WiFi. 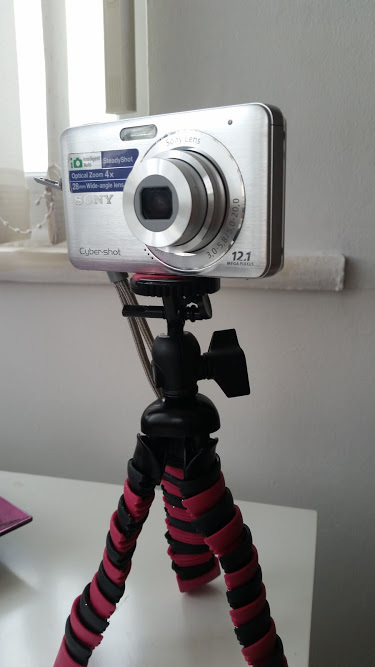 Then we have the newest addition to my blog taking routine, the YT Club Tripod. 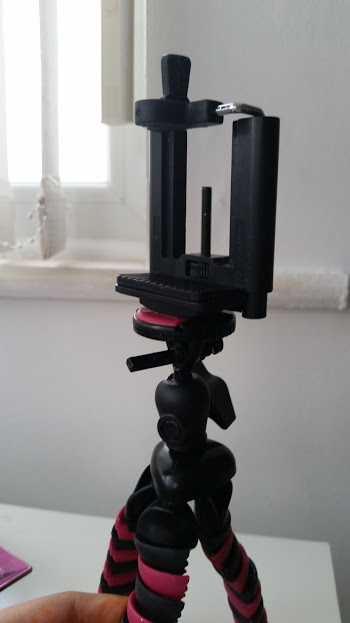 Its a flexible mini tripod that works with cameras, DSLR's and all phones. 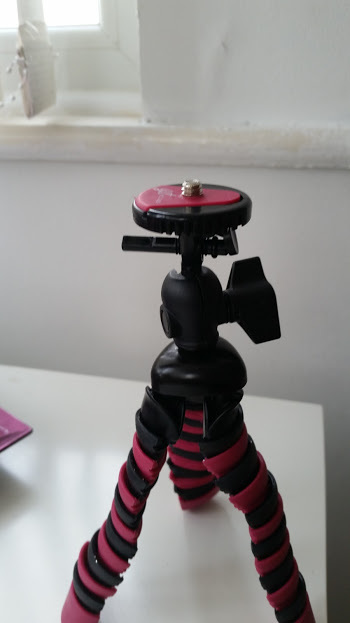 The thing that makes this tripod different to others that you will find are the flexible legs. You can bend, wrap and twist each leg to allow you to take different creative shots. Then you have the universal element, the first attachment that looks like the end of a selfie sick allows you to attach all different phones to it. In the images above I attached my ipod due to needing my phone to take photos, but it fits my rather large Samsung Galaxy S5 as well. This attachment can be removed and that reveals a screw on attachment. This allows you to fix a camera on to the tripod and take photos that are professional and have stability. It's also very light so you can hold it whilst taking some pictures and your hands wont ache at the end. 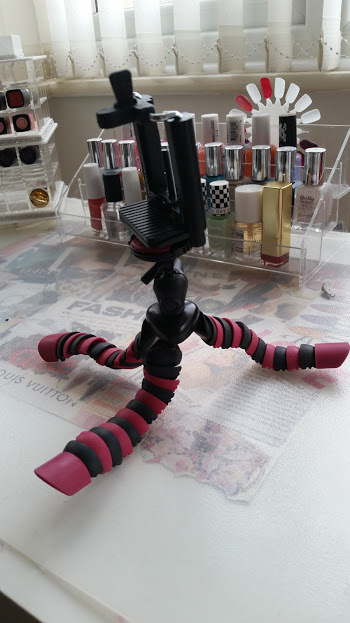 The tripod comes in two colours, black and black pink I went with the latter due to been a girly girl but it isn't a ugly pink so even those who may not like the colour will love it! It retails at £29.99, but currently on offer for £20.00. 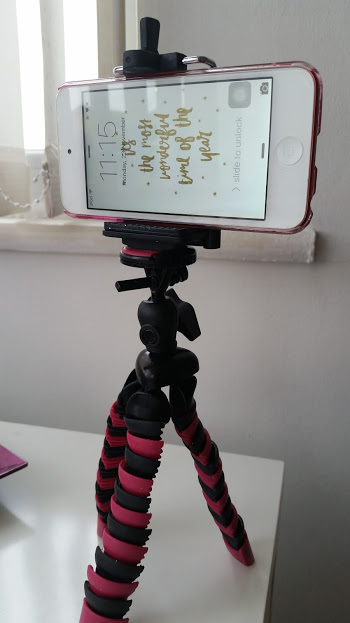 If you are looking for a great yet inexpensive tool to help you take photos for your blog, video for youtube or even use for personal moments then I couldn't recommend the YT Club Tripod enough! It will become your new best friend! You can find out more about the tripod on the YT Club Website! And if you fancy buying yourself a tripod then visit Amazon.